In AJIBOYE Monkey Business Agency Management Partner Program, you focus on doing your job. Our JobTrack takes care of all the rest: seamlessly clients updates, complete work record history, time logging and getting you paid. 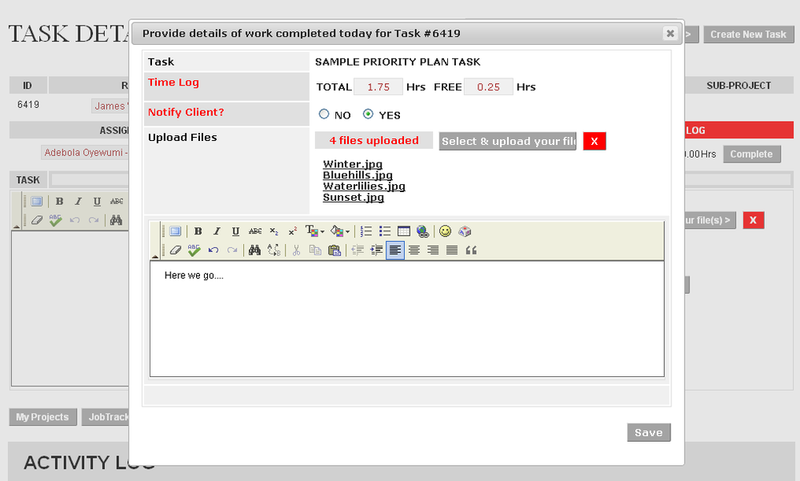 Our JobTrack Workflow is simplified, so we can all just focus on the work. 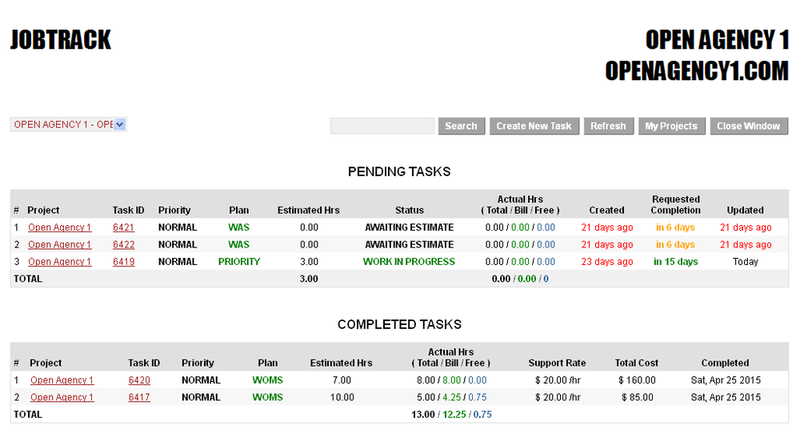 Log into JobTrack to view all the Tasks assigned to you from all your Projects. A Task can be created by either the Project Manager or the Customer, at any time. However, Tasks can only be created when the Project has enough prepaid support time in the Project Support Ledger to pay for the work. 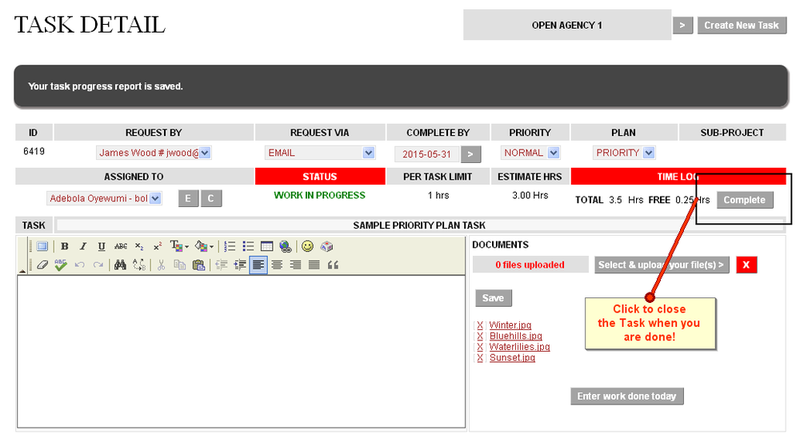 New Tasks created by the Customer are assigned automatically to the Project Manager. New Tasks created by the Project Manager may be assigned to another Specialist by the Project Manager. Either way, the final Task Handler will review the request, and provide the estimate number of hours it will take to complete the work. If the estimate is below the Customer Support Consumption Limits, then it's approved immediately. If the estimate exceeds the limits, the Customer receives an email alert with the estimate, and an option to APPROVE or DECLINE. We can work and log billable time for APPROVED tasks only. A Task might take a few hours to complete or several days, it does not matter. 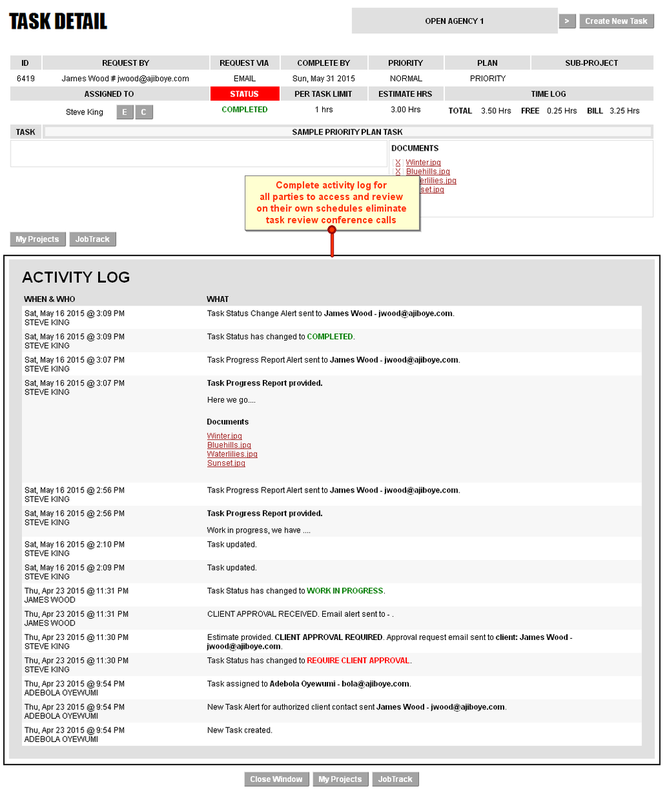 You simply log your time and activity notes every time you work on the Task. Every time you do, both the Customer and Project Manager receives an email alert of the progress update, and can click through to the Task to review all activity to date at anytime. When you are done with the Task, simply mark it as COMPLETED. When you complete a task, the Customer and Project Manager get email alerts; they have a small window of time to review and if necessary, REOPEN the Task to address missing requirements. Complete Activity Log for everyone! Keeping all parties up to date and informed is easy. The complete activity log for each Task is accessible to all parties at anytime, eliminating time-wasting phone calls and meetings just to Follow-up. 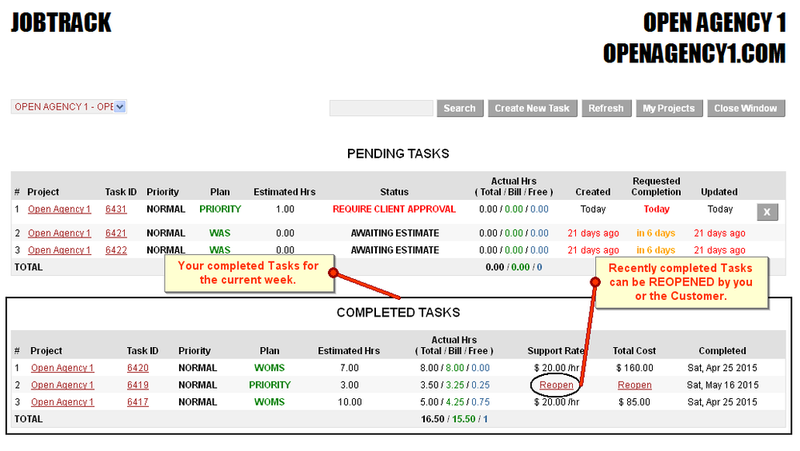 All your completed Tasks, unbilled for the current week support, is itemized for you for easy tracking. All completed tasks for the week are paid out weekly. 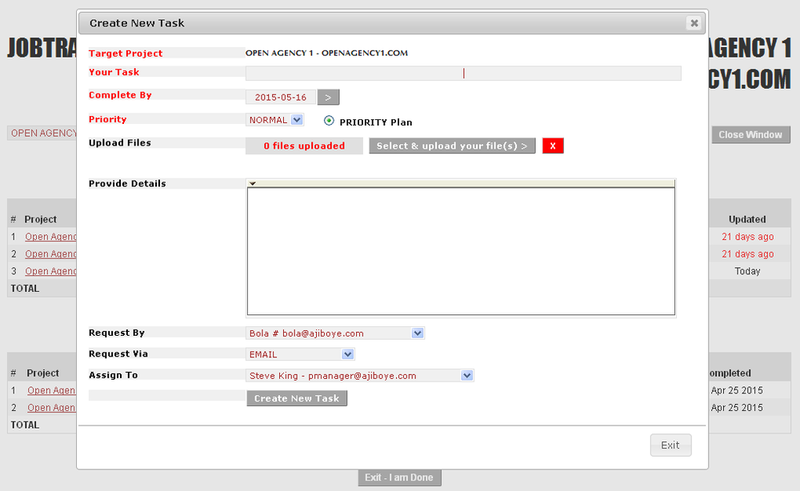 Go to My Agency Billings to view and manage your earnings. 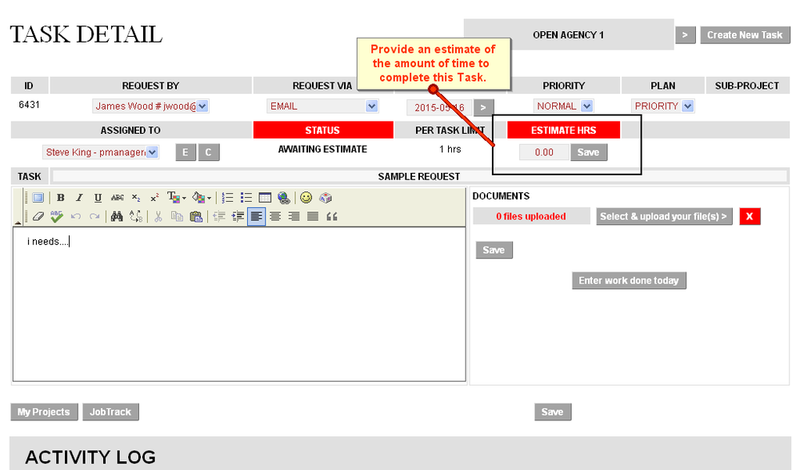 Customers and Project Managers can easily REOPEN tasks that do not fully address requirements. When Tasks are REOPENED, you get an email alert, and you can address the concerns and complete the task again. Tasks can only be REOPENED a limited number of times, so all parties need to work diligently to communicate requirements and address concerns.